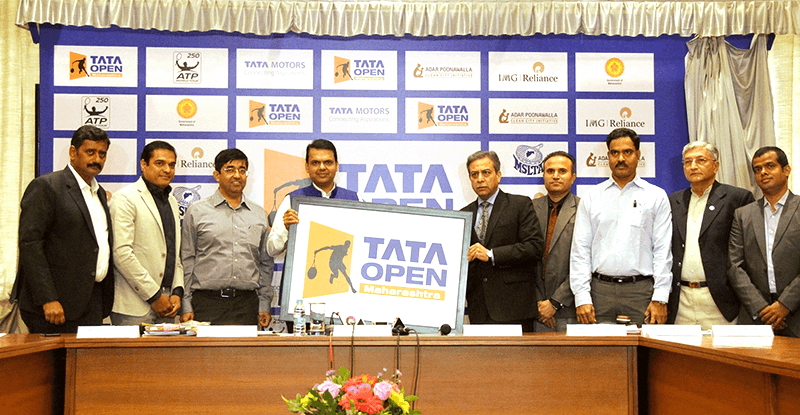 Tennis fans in Pune will witness a grand celebratory inauguration here as Tata Open Maharashtra begins on Monday with India’s top singles player Prajnesh Gunneswaran takes on American Michael Mmoh in the opening match of the Centre Court. Before getting down to business, tennis fans will be treated with an exhibition match featuring women's World No. 4 badminton player Carolina Marin, Bollywood actor Taapsee Pannu and top players from the event. This will be followed by an opening ceremony where Maharashtra Chief Minister Shri Devendra Fadnavis will inaugurate the tournament. “We couldn’t have asked for a better way to open the second edition of Tata Open Maharashtra with one of the world’s top badminton players in Carolina Marin, Bollywood star Taapsee Pannu enthralling fans with a round of exhibition game. We are also highly grateful to the Honourable Chief Minister of Maharashtra Shri Devendra Fadnavis for taking time out to inaugurate the tournament,” said Prashant Sutar, Tournament Director, Tata Open Maharashtra. “This is such an exciting opportunity for me. I love tennis and I am a die-hard Rafael Nadal fan. I would like to thank the organisers of Tata Open Maharashtra to let me showcase my skills in a different racquet sport today. If my schedule allows me, I would surely turn up at the stadium and catch some action live,” said Carolina Marin. “I always wanted to get into sport and just a few months back I got into Badminton being a co-owner of a franchise. And today, I am thrilled to have tried my hand at another racquet sport in Tennis, thanks to the organisers of Tata Open Maharashtra. I wish them and all the players the best for the tournament and will surely catch up on the action live here in Pune,” said Taapsee Pannu, Bollywood actor and co-owner of Pro Badminton League team Pune 7 Aces. As the day progresses, the first match at the Centre Court will feature India’s top singles player Gunneswaran taking on USA’s Mmoh. Ranked 103 in the world, Mmoh trained with Gunneswaran at the same Academy (Alexander Waske Tennis University). Other Indians in action on Monday will be Indian duo N Balaji and Arjun Kadhe taking on second-seeded pair P. Oswald (AUT) / T. Puetz (GER) on Court 1. India’s Jeevan Nedunchezhiyan alongside American N. Monroe will play fourth-seeded Spanish pair of G. Granollers and M. Granollers followed by wild card entrants Purav Raja and R Ramanathan taking on British duo L. Bambridge and J. O'Mara in the last encounter of Day 1 on Court 3. The tournament will be played at the Mhalunge Balewadi Stadium, Pune from December 31, 2018 to January 5, 2019. Defending champion and World No. 30 Gilles Simon from France alongside World No. 6 Kevin Anderson from South Africa, World No. 25 Hyeon Chung from Korea and World No. 45 Malek Jaziri from Tunisia will play the season-opening event. The tournament will be broadcasted live on Star Sports Select 2 and Star Sports Select 2 HD.